Has ADL decided to go partisan - backing an overtly anti-Semitic Democrat and attacking a pro-Israel Trump appointee? 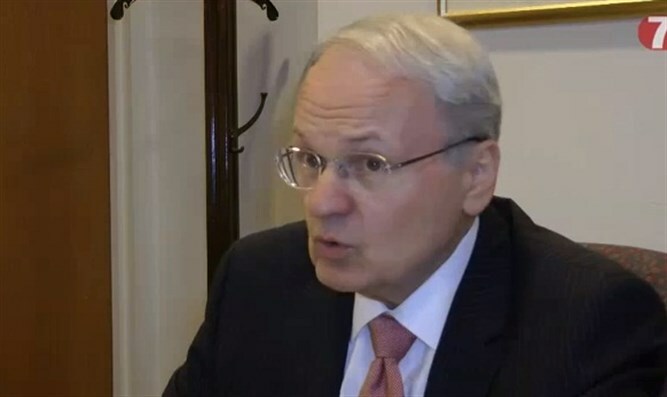 It seems that with each passing day, more information comes to light about the alarming anti-Israel, anti-Semitic, and extremist radical Islamist involvements and positions of Muslim U.S. Congressman Keith Ellison a/k/a Keith X. Ellison a/k/a Keith Hakim a/k/a Keith Ellison Muhammed (D-Minn.) - which should disqualify Ellison from heading the Democratic National Committee (DNC) for which he is the Senator Schumer-supported leading contender. Ethical issues have also come to the fore. On Monday, we learned that the House of Representatives Ethics Committee had opened an investigation into Rep. Ellison (D., Minn.) after he failed to disclose that the Muslim American Society - a group that Muslim Brotherhood members founded to be the “overt arm of the Muslim Brotherhood in the U.S.” - paid $13,350 for Ellison to visit Mecca, Saudi Arabia in 2008. (See “Muslim Brotherhood-Tied Group Paid for Keith Ellison to Visit Mecca in 2008: Group was founded as 'overt arm of the Muslim Brotherhood in the U.S.',” by Brent Scher, Washington Free Beacon, Nov. 21, 2016.) The Muslim Brotherhood is the “parent” organization of Hamas, al Qaeda and other terrorist entities. Egypt, Kazakhstan, Saudi Arabia, Russia, the UAE, and Kuwait have all designated the Muslim Brotherhood to be a terrorist organization. During a DemocracyNow! TV interview, Ellison suggested that the Israeli “occupation” was to blame for a “humanitarian crisis” and lack of sewage processing in Gaza – while ignoring that Israel withdrew from every inch of Gaza, and that Hamas diverts the electricity needed to operate Gaza’s sewage treatment plant to Hamas’s terrorist tunnels and operations. In 2014, Ellison was one of only 8 Congresspersons who voted against the bi-partisan bill to provide $225 million to Israel’s “Iron dome” missile system. Also in 2016, Ellison tweeted a sign falsely accusing Israel of expropriation and “apartheid.” And just two months ago, Ellison defended the Islamic Society of North America (ISNA) on the House floor. ISNA is an unindicted co-conspirator in the Holy Land Foundation case, involved in funneling money to Hamas. In 2015, Ellison co-authored and spearheaded a letter (and obtained signatures on the letter of 23 Democratic Members of Congress) demanding that Prime Minister Benjamin Netanyahu’s speech to Congress about the Iran deal be delayed until after the sanctions deadline – when the visit would have been useless. In 2014, Ellison was one of only 8 Congresspersons who voted against the bi-partisan bill to provide $225 million to Israel’s “Iron dome” missile system. Ellison’s position would have left innocent Israeli civilians at the mercy of Hamas rockets. 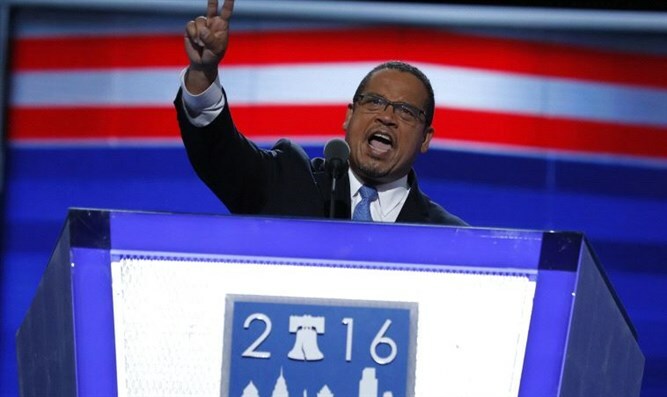 In 2012, Ellison traveled from Minnesota to raise funds and speak at mosques in New Jersey, urging Arab-American residents of New Jersey to defeat pro-Israel Democratic Jewish Congressman Steve Rothman. In 2010, Ellison spearheaded and convinced 53 other Democratic Congresspersons to sign his infamous “Gaza 54” letter to President Obama, which falsely accused Israel of humiliating and wreaking “collective punishment” on Gaza residents and demanded that President Obama should pressure Israel to lift the Gaza blockade – thereby enabling Hamas to obtain more weapons to kill and terrorize innocent Israeli civilians. The leading anti-Israel, anti-Semitic boycotts, divestment and sanctions (BDS) group in the U.S. still uses the anti-Israel smears in Ellison’s “Gaza 54” letter to promote BDS. Ellison also received substantial campaign contributions from groups tied to the Muslim Brotherhood, spoke at Council on American-Islamic Relations (CAIR) dinners, and defended CAIR on the House floor. Materials handed out at CAIR’s 2008 dinner (where Ellison spoke) called America a terrorist organization, and called for the destruction of Israel and the United States. CAIR is another unindicted co-conspirator in the Holy Land Foundation case, involved in funneling money to Hamas. In 2007, Ellison analogized President Bush’s prosecution of the war on terror after 9/11 to Hitler’s rise to power and activities after the Reichstag fire. Back in 2007, the ADL criticized Ellison’s analogy of President Bush to Hitler. However, the ADL is utterly silent about Ellison now – when the leadership and direction of the Democratic party is at risk of falling into the hands of someone with a longstanding record of anti-Semitic, anti-Israel activities. Instead of calling out the real danger from Ellison, the ADL has been busy falsely accusing President-elect Trump’s appointee Stephen Bannon of anti-Semitism. ADL’s failure to condemn Ellison’s overwhelming record of anti-Israel and anti-Semitic activities displays rank partisanship, and is an abdication of the ADL’s stated mission of combatting anti-Semitism. The ZOA thus again urges the ADL to join us in speaking out against appointing Ellison to the extraordinarily powerful position of head of the DNC.